The Labour Party wants to ban British MPs from working as paid directors or consultants following the “cash for access” scandal, despite a report finding that former Prime Minister Gordon Brown earned nearly £1mn outside Parliament last year. MPs will debate Labour’s motion in the House of Commons on Wednesday afternoon, after which a vote will be held. It is believed Labour leader Ed Miliband wants to embarrass the Conservative Party, after a new investigation by The Independent found the Tories took home £4.7 million in extra earnings last year. However, the report also found Labour MPs pocketed over £2 million, on top of their parliamentary wages. The research into British MPs’ additional incomes follows a videotaped sting revealing that Labour MP Jack Straw and Conservative MP Sir Malcolm Rifkind offered private companies access to high-profile figures in exchange for cash. Straw and Rifkind, both former foreign secretaries, were duped by reporters from the Daily Telegraph and Channel 4 who posed as staff for a fake Chinese firm, looking to gain access to politicians and senior establishment figures. Rifkind stepped down as chairman of the Intelligence and Security Committee and resigned as an MP after the scandal broke Monday. John Bercow, Speaker of the House of Commons, told Sky News that the MPs will “face the music” if it turns out they broke parliamentary rules. 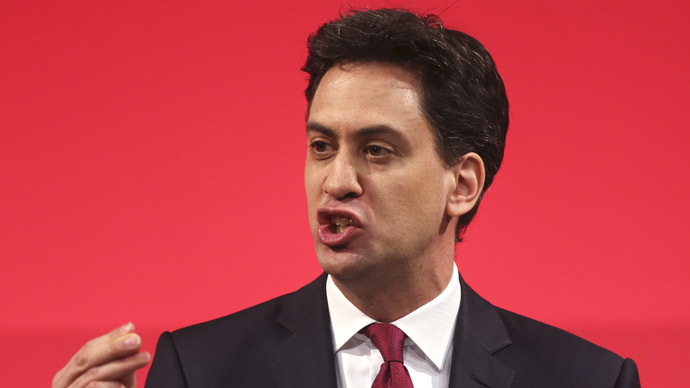 Miliband wrote to Prime Minister David Cameron on Monday, calling on him to agree to ban MPs from taking paid directorships and consultancies. The Labour leader is also considering advocating restrictions on the amount of money MPs can earn outside parliament, limiting it to 10 or 15 percent of their £67,060 annual salary. Labour’s tactic risks drawing attention to their own MPs’ extra earnings outside parliament, however. Former PM Gordon Brown earned the highest additional income in Westminster, receiving £962,516 on top of his annual salary of £67,060 for being an MP. A 2 1/2 hour speech for the First Dameisha China Innovation Forum in Beijing alone earned the former PM £61,740. Brown was paid a further £46,500 for speaking at the American University in Dubai, according to public records. On top of these speaking engagements, Brown holds various lucrative posts around the world, including Chairman of the World Economic Forum Policy Coordination Group and United Nations Special Envoy for Global Education. He also earns fees for newspaper columns and books. David Blunkett, a former Labour home secretary, pocketed an extra £180,000 mostly as a director of Hadlaw Production and Investment Ltd.
Tory MP Geoffrey Cox earned the second highest amount last year, taking home £820,867 through his work as a lawyer. Cox registered nearly 2,000 hours’ work outside his parliamentary role, meaning he earned an average hourly rate of £420. Sir Nicholas Soames, a prominent Tory who is Winston Churchill’s grandson, earned £275,500 for his roles at private security firm Aegis, energy firm Aggregated Micro Power and as a business adviser. In total, British MPs earned more than £7 million outside parliament last year, according to income declarations. Of the top 10 earners, six belong to the Conservative Party, two belonged to Labour and one to the Liberal Democrats. Another was George Galloway of the Respect Party.